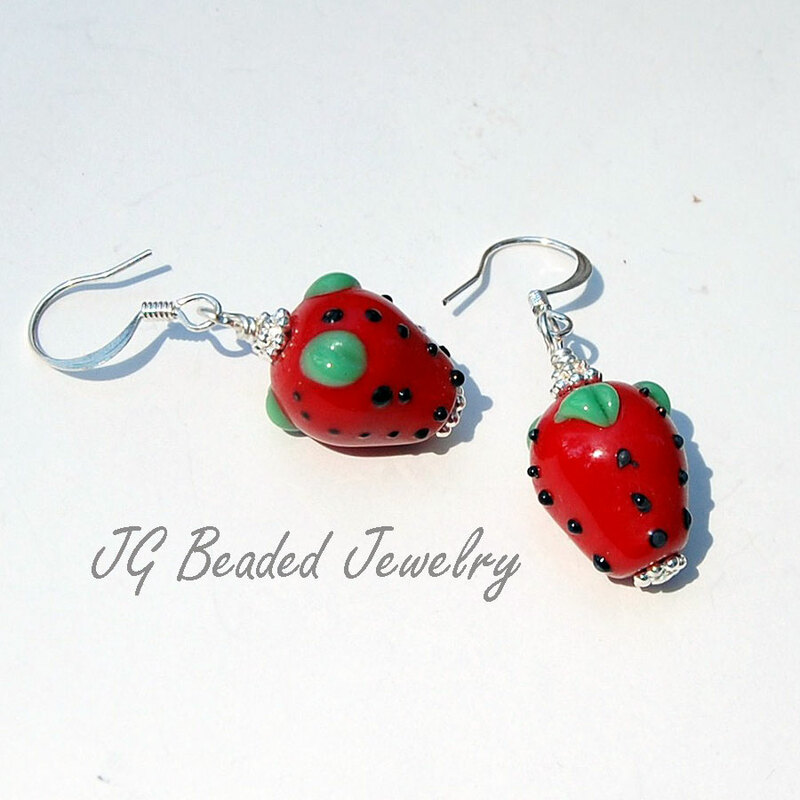 One-of-a-kind strawberry lampwork earrings that are 100% unique handmade glass beads that have bumpy textures. 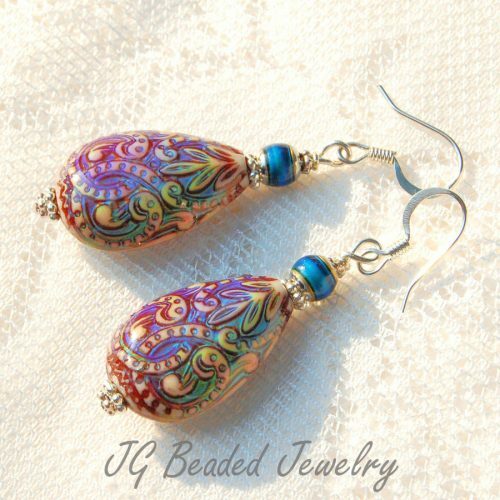 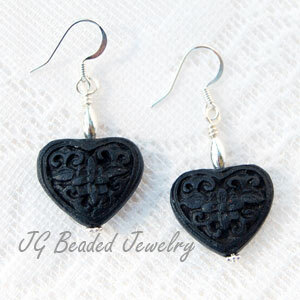 They are wire wrapped by hand with fancy silver metal spacer beads. 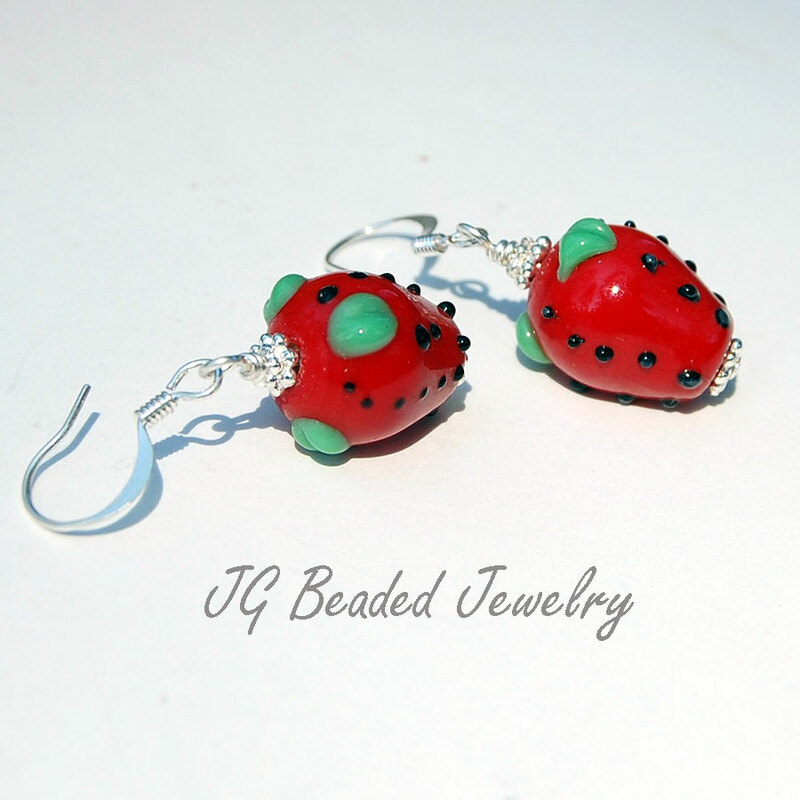 Length is approximately 1 1/2 inches from top of silver ear wires.